New ITR Forms For AY 2018-19: What Does The I-T Department Want To Know? Home > Financial News. Simplified. >New ITR Forms For AY 2018-19: What Does The I-T Department Want To Know? These are interesting times for Indian taxpayers. Fraudsters are fleeing the country by literally making a mockery of our systems. But the government is rationalising compliance requirements for the taxpayers who bear the brunt of sins they haven’t perpetrated. The banking sector regulator, government, and other concerned agencies are playing the game of “passing the buck (of blame)”. Obviously, no clear winner has emerged as yet. Most of us have become so seasoned to reading the front-page headlines of bank frauds, so much so that any such news doesn’t scare us anymore. When the government should be taking tough actions against fraudulent businessmen and bank employees colluding with them, it seems to be busy improving the ‘compliance behaviour’ of individual taxpayers. Frauds, tax-noncompliance, and accumulation of unaccounted wealth are interlinked. To uproot these evils, it’s necessary to tighten up compliance requirements. Isn’t it trivial to burden the most honest taxpayers with more compliance? But citizens shouldn’t mind this. After all, with deadwood even the living branches of trees ablaze in conflagration. It’s said that salaried taxpayers are the most honest taxpayers. However, some ‘experts’ claim they are honest by compulsion (of not being able to conceal their income) and not by choice. But what if somebody says, as your salary rises above Rs 50 lakh there’s an every reason to believe you might try to conceal ‘material information’ from the tax department? Nonetheless, the Central Board Of Direct Taxes (CBDT) recently notified of Income Tax Returns (ITRs) applicable for FY 2017-18. The improved versions of ITRs seek more disclosure from taxpayers; but more importantly, even the salaried employees haven’t been spared. First and foremost, do you know which ITR you are supposed to exercise to report your income? You should use ITR-1, if you are an individual resident and have a salaried income. The other conditions are: you shouldn’t have earned income from more than one house property. You shouldn’t have earnings from business and profession or by way of capital gains. Plus, your total income should be less than Rs 50 lakh. Even then ITR-1—popularly called “Sahaj” will push you harder this year. You will have to list down items such as allowances not exempt, value of perquisites, and profits in lieu of salary, etc., to name a few. Additionally, you will to provide occupancy details of your house property, if you have more than one. While there’s no harm in seeking more disclosures from salaried people, shouldn’t the government appropriately explain why they require this additional information is sought? And, what it wants to do with that? Especially, when most of it can be obtained from the Form 16? Are disclosures a one-way lane? It seems the government wants to cross-tally disclosures of individual assessees and those of companies. But then what about the promise of minimum government and maximum governance? Fortunately, there aren’t any more new disclosures in the ITR-1. But those using ITR-2 — which means individuals with more than Rs 50 lakh of salary income, HUFs, and individuals with no income from business and profession, will have to disclose even more. There are separate schedules for each income head. For example, once you reveal your salary income, you will have to provide additional details such as allowances exempt under Section 10, and salary excluding all exempt and non-exempt allowances, perquisites, and profit in lieu salary among others. A schedule on house property income seeks information on ownership, occupancy, and tenancy along with details for each of these criteria. As you may know, those who have more than one house properties registered in their name will have to pay tax on the ‘deemed’ income they earn from any of these house properties of their choice. The logic for getting such income taxed is to discourage people from owing more than a house (and not letting it out) at a time when crores of Indians are homeless. Has this move been fruitful? Have real estate prices crashed? Are the homeless getting the right to residences? Individuals and HUFs with income from business and profession need to file ITR-3. While those interested in taking advantage of presumptive taxation shall file ITR-4—Sugam. Assessing the filing of ITR-3 and ITR-4 will mean disclosure of details about their turnover and provide their GST number. Thankfully, the CBDT discontinued the disclosures on cash deposits it had introduced for the last assessment year, in the wake of demonetisation. 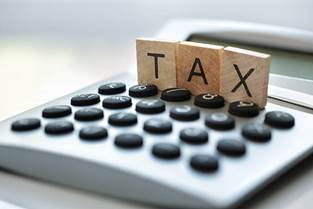 The tax department and the government might call these changes mere ‘rationalisation’. But if you consider them on the backdrop of unrestrained powers conferred with the assessment officers, these tweaks can become bones of contention between assessees and the tax department. Hopefully, the government will realise that making frequent administrative changes takes away the ease-of-doing business, which was the mantra for the Make in India campaign. At a time when, we, as a country, are launching various programmes such as, Stand Up India, Start-up India, etc. ; and while we make claims about improvements in the ease-of-doing business, we can’t afford frequent turncoats in administrative matters. Nevertheless, it’s important for us to disclose all our income and file returns before due date. If you haven’t done your tax planning for FY 2018-19, start now! To read more and Personal FN's views, please click here. Why You Need To Get Your Mutual Fund Portfolio Reviewed Right Now! It is a known fact that costs are an important parameter to consider when investing in mutual funds. As mutual funds are the most preferred vehicle for retail investors, there is often a debate on mutual fund expense ratios or fees being too costly. The regulator, knowing the benefit of lower costs, introduced a direct plan option under mutual fund schemes. Direct plans come with a lower expense ratio because it eliminates distribution costs, which translates into huge savings over the long term. Actually, it was not long before direct plans of mutual funds began trending. Investors began shifting out of regular plans to direct plans having realised that the difference of a few percentage points in the expense ratio could lead to an immense savings in costs. To read more about this story and Personal FN's views over it, please click here. Schools and colleges will soon close for summer vacations. Aren’t you planning to take a break from your busy schedule and take your family on a week-long holiday? So what’s on your mind this year? Shimla or Switzerland? Cities will temporarily become less crowded and holiday destinations will start receiving visitors. The funny fact is, while you enter ‘vacation mode’, the entire tourism industry gears up for the peak season. Do you know when they (people working in the tourism industry) start planning for it? If you plan it well in time, you will get good deals every time. Be it domestic or overseas, leisure travel is never cheap. Unless you save for it in advance, a week-long holiday with your family at famous summer destinations will cost you a pretty penny. Interest rates on Small Savings Schemes (SSS) will remain unchanged for the April-June quarter. As a result your investments in Public Provident Fund (PPF), National Savings Certification (NSC) and Kisan Vikas Patra (KVP) among others will fetch you the same returns this quarter as they did last quarter. The yields have risen in the immediate past but the government has preferred to hold interest rates on SSS unchanged. Are Multi-Asset Funds For You? Your Mutual Fund Scheme Renamed. What Should You Do? Multi-Asset Class: A multiasset class, also known as a multiple-asset class or multiasset fund, is a combination of asset classes (such as cash, equity or bonds) used as an investment. A multiasset class investment contains more than one asset class, thus creating a group or portfolio of assets. The weights and types of classes vary according to the individual investor.